A professional lawn care franchisee, who operates across West Yorkshire has reached one of his business goals, having served his 300th customer this spring! 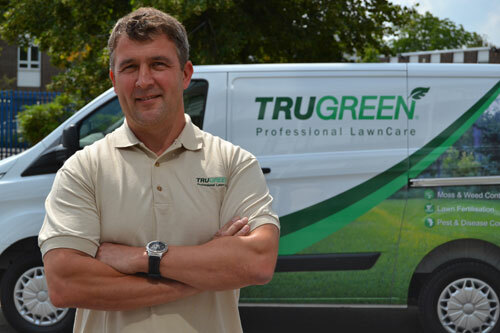 Having taken ownership in 2014, local man Darren White has taken TruGreen Professional LawnCare West Yorkshire from strength to strength. The West Yorkshire franchise is one of over 40 local TruGreen businesses that have achieved 29 months consecutive growth and collectively, grew by over 15% in 2016. Now in his peak season, TruGreen West Yorkshire owner, Darren White said: “I’m delighted to have picked up my 300th customer and to be seeing sustained growth in the business. Now that the sun is starting to shine and our attention turns towards the outdoors, I’m hoping to be of service to more and more customers that want to achieve a really beautiful lawn this spring. 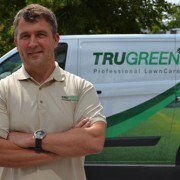 TruGreen West Yorkshire is a franchise of ServiceMaster Ltd, a national franchisor based in Leicestershire and benefits from technical expertise of Steve Welch, TruGreen operations brand manager who has over 30 years’ experience in the lawn care industry and as a sports groundsman.